The Middleton UVR1-T2, UVR1-A2, and UVR1-B2 are precision instruments for measuring solar global ultraviolet irradiance. The Middleton Solar UVR1 series are precision filter radiometers for measuring solar global ultraviolet irradiance. 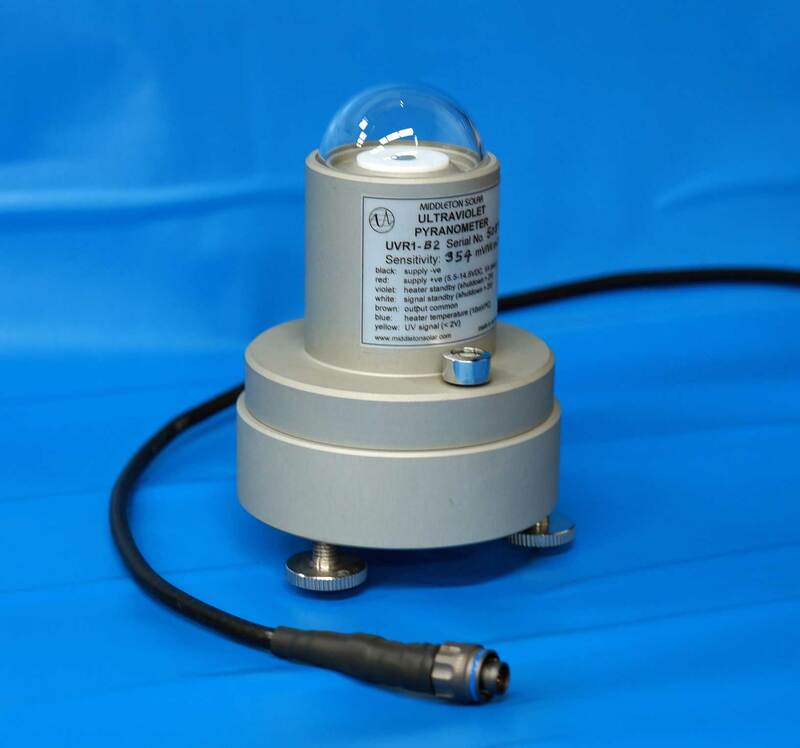 The UVR1-T2 and UVR1-A2 are suitable for air pollution monitoring. The UVR1-B2 is suitable for biological and human erythema (sunburn) monitoring. Marine-grade aluminium, anodized for corrosion resistance. Large diameter (25mm) interference filter for long-term stability. Narrow internal field-of-view to avoid filter bandpass distortion.